QUALITY BUILT AFFORDABLE CONCRETE BLOCK HOME! 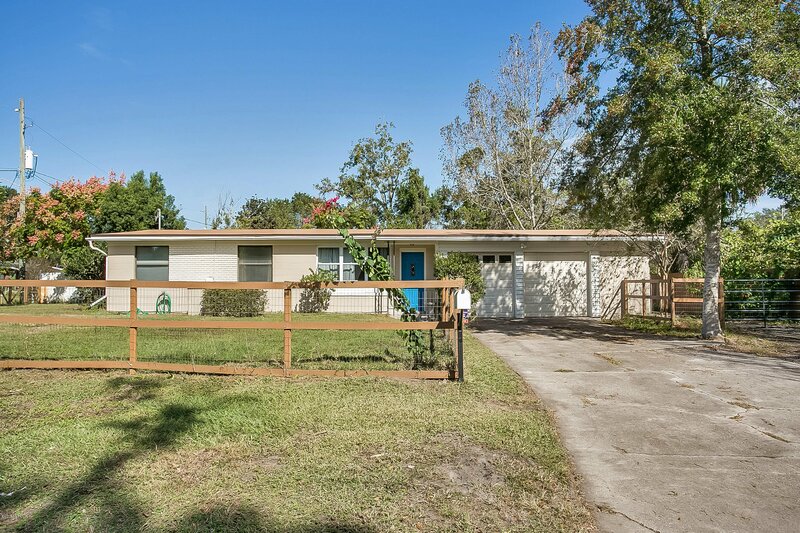 Located on large corner lot, with completely fenced yard! NEW ROOF, NEW HVAC! Freshly painted exterior and interior. Family room with vaulted ceiling. Updated kitchen with tile flooring & tile back splash. All kitchen appliances stay. Wood laminate floor in the family room, breakfast nook, office area. New carpet in bedrooms. Updated baths. Over sized two car garage, with extra storage area, plus laundry room. A great place to call home! Listing courtesy of RE/MAX SPECIALISTS. Selling Office: ERA HEAVENER REALTY.